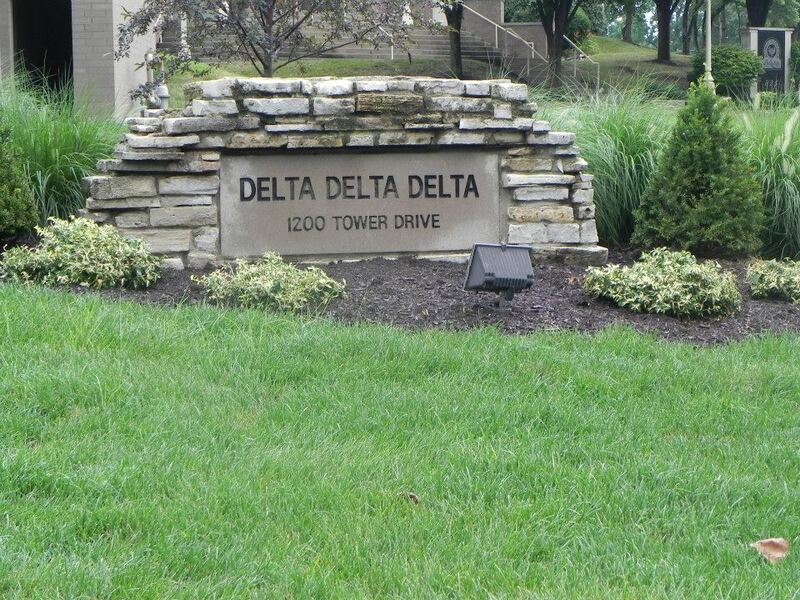 This summer has been full of events that have made me think of "home." And not just where I live today, but where my heart has been over the years. The summer started with a major focus on 4-H at this pigpen. Big Sissy is a 4th generation 4-Her as this was her second year of 4-H. With our county fair the last week of June, Big Sissy spent the majority of her time the month of June working on her many 4-H projects. As I've said before, 4-H has always played a big part in the lives of The Farmer and me and it is such a joy to watch Big Sissy love 4-H. Now I'm not quite sure how we will make it when all 3 kids are in 4-H, but we will find a way just like The Farmer and I's moms did. Any way, Big Sissy had a pretty amazing second year of 4-H that will continue into the State Fair next week. I'm so glad that she is enjoying carrying on this tradition that was started many years before her and is even seeing some success in the show ring like my mom did many years ago which was lot of fun as my mom and Aunt S were there to share in the fun that night along with The Farmer's parents and Uncle K.
I even got to visit my "home" county fair this year. This was my youngest cousin's last year of 4-H. 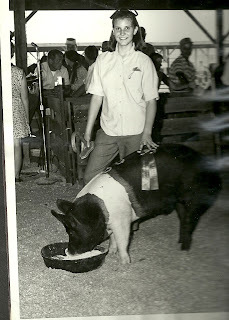 He was the last of my generation to finish 4-H in our county. There had been someone in 4-H in my home county since I started 4-H more years ago than I'd like to admit... 1987. That is a lot of years of family picnics, traditions, and fun at the fair. Hopefully next year, my niece will start 4-H and start the tradition of the next generation of 4-Hers in my home county. Some things have changed but many have stayed the same including many of the faces. It was great to visit my home fair even if I do like my own recipe for Beef and Noodles better than theirs now, but this is where my love of Beef and Noodles started. 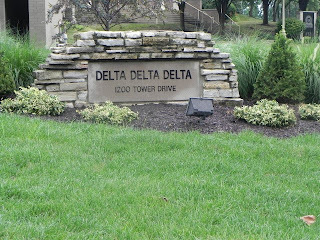 This past weekend I really did get to go to one of my past "homes." 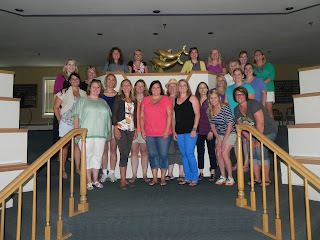 Several of my sorority sisters and I converged on Purdue University for the weekend to relive our college years. It was amazing to see so many women that had an impact on my life and to visit one of the houses that really built me. 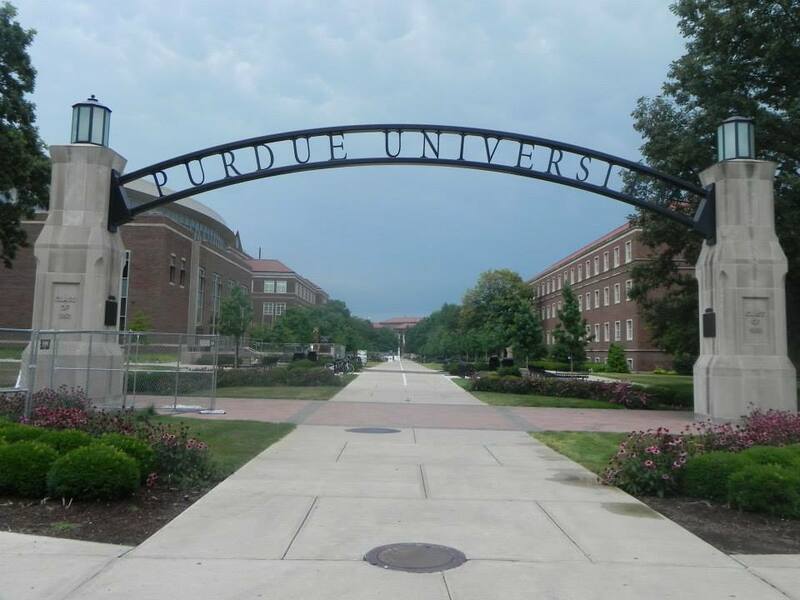 So I don't know who says you can't go home, because I've been going "home" all summer long. And although this summer has gone by in the blink of an eye and isn't officially over, the start of school is coming sooner rather than later at this pigpen as Big Sissy and Bubby head back to school on July 31st. This just may or may not be the same day Big Sissy's pigs and muffins go to the State Fair for judging later in the week. (No pressure on The Farmer or I.) That being said hopefully we can still squeeze in a few trips "home" either down memory lane or making new memories with what is left of the summer of 2013. Thanks to Indiana's Family of Farmers for getting me to return to my "home" of blogging. 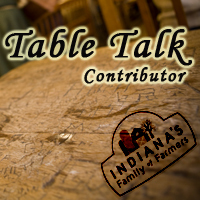 Although this is a sponsored post as I'm a Table Talk Contributor this month for Indiana's Family of Farmers, my love of my "homes" and the traditions and recipes of them are all my own opinions and thoughts. That being said, be sure to check out Indiana's Family of Farmers on Facebook, Twitter, or their blog as they have a lot of fun stuff happening especially with the upcoming Indiana State Fair.